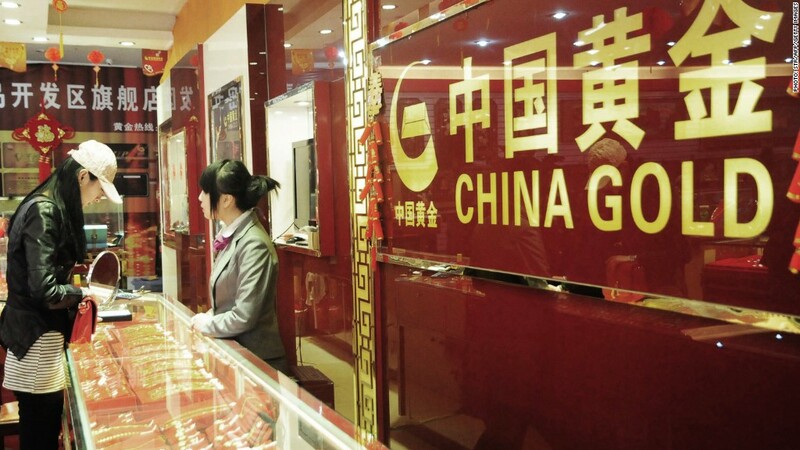 Demand for gold in China is surging despite slower economic growth. China has raced past India to become the world's top gold consumer. Gold prices may have bottomed out earlier this year, but the precious metal hasn't lost its luster among Chinese consumers. China has purchased 798 tonnes of the precious metal so far this year, compared to India's 715 tonnes, according to the latest World Gold Council report. The group recently lowered its 2013 forecast for India's gold consumption by 10% to 900 tonnes, and estimates China will buy 1,000 tonnes by the end of the year. China's middle class is a rapidly growing slice of the country's 1.5 billion people. Growth may be slowing after decades of rapid expansion, but affluent Chinese consumers have shown no sign of curbing their spending habits. Related story: Gold: Time to buy now? "Rising disposable incomes and a growing middle class in China is driving demand," said Albert Cheng, the World Gold Council's Far East Managing Director. 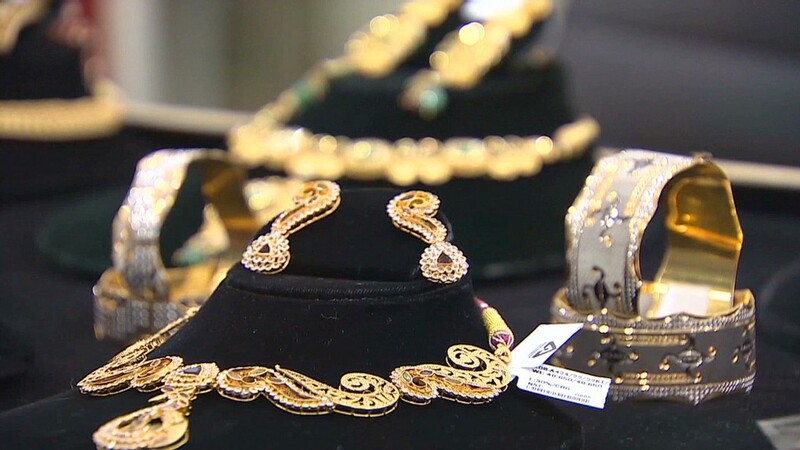 "Consumers continue to invest in higher carat and heavier pieces of gold jewelery." Gold also ranks alongside stocks and property as a favorite of investors in China, and under-performance in those markets has boosted gold, Cheng said. China's benchmark index, the Shanghai Composite, is down 6% year to date. Demand in India, the world's top gold user until recently, has been waning after the government restricted gold imports and raised taxes. It fell 32% in the most recent quarter, compared with a year earlier. Demand in China rose by 18%. Almost all India's gold demand is met by imports and purchased in U.S. dollars, which can hurt the economy as the rupee falls. Gold is often seen by investors as a safe haven -- especially when the economy is taking a tumble. Although investors have fled from gold-backed exchange-traded funds, the global market remains resilient "underpinned by the continued shift in demand from West to East," said Marcus Grubb of the World Gold Council. Gold is currently trading at just over $1,289 per ounce, down about 30% from a record high of $1,900 in September 2011.